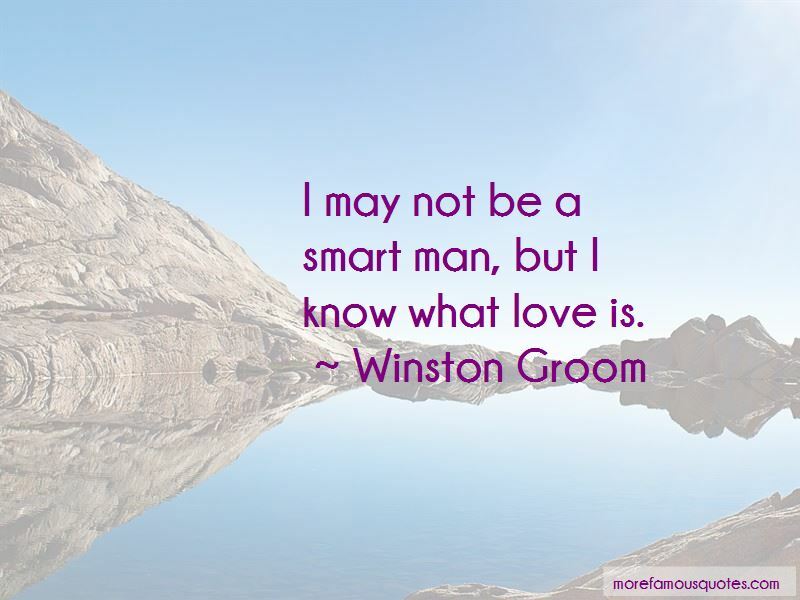 Enjoy the top 21 famous quotes, sayings and quotations by Winston Groom. Stupid is as stupid looks. “But let me tell you this: sometimes at night, when I look up at the stars, an see the whole sky jus laid out there, don't you think I ain't rememberin it all. I still got dreams like anybody else, an ever so often, I am thinkin about how things might of been. An then, all of a sudden, I'm forty, fifty, sixty years ole, you know? an dreams is jus dreams, ain't they? 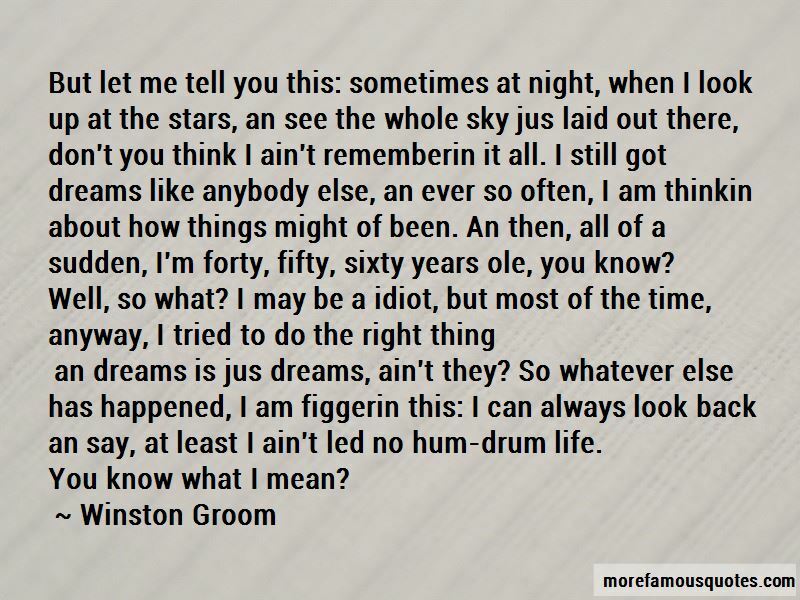 So whatever else has happened, I am figgerin this: I can always look back an say, at least I ain't led no hum-drum life. “For the first time in nearly twenty-five years, our country is having anything to do with the Chinamen, an it is an event far more important than any damn ping-pong game. It is diplomacy, and the future of the human race might be at stake. Do you understand what I am saying? I cannot, in good conscience, allow money to be wasted on a failure. Dear God, make me a bird so I can fly far, far away. 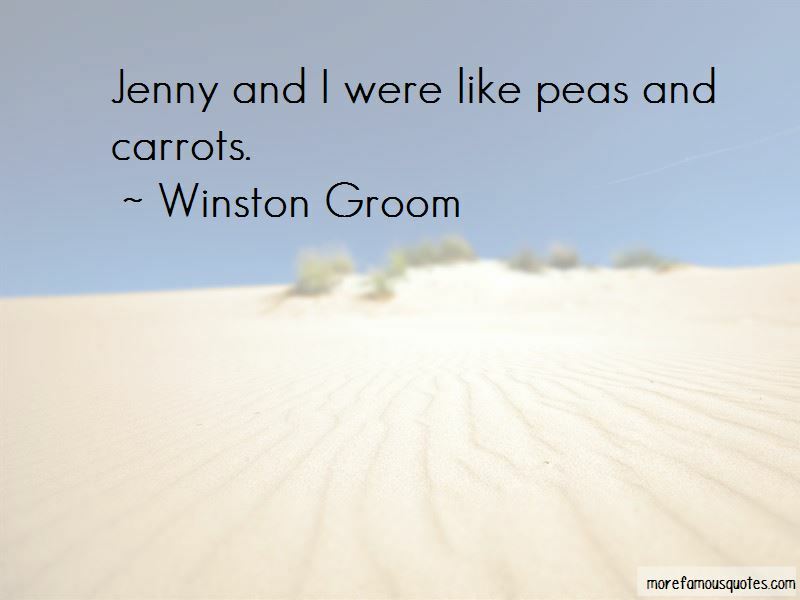 Want to see more pictures of Winston Groom quotes? 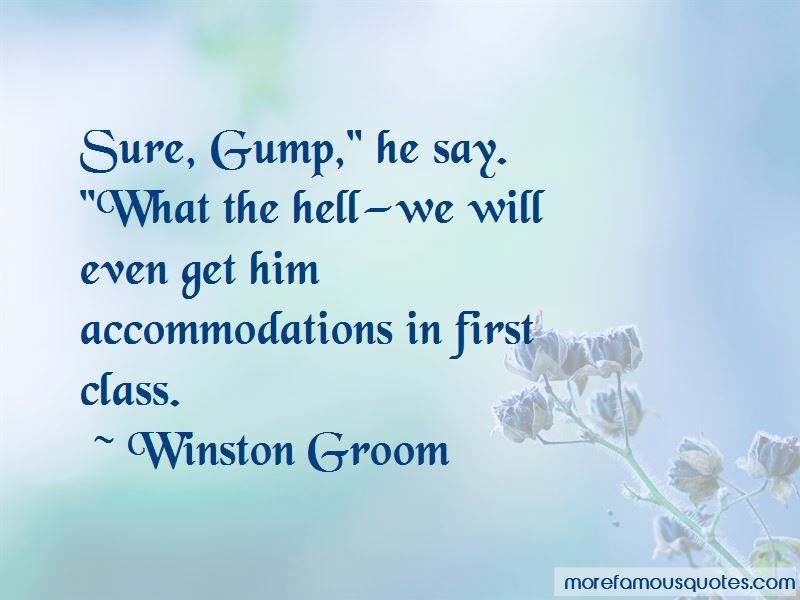 Click on image of Winston Groom quotes to view full size.